A specialist team from the Antarctic Heritage Trust spent three months toiling in temperatures as low as minus 40C to renovate the famous landmark, which was built in 1957 and contains hundreds of precious artefacts. The hut was originally constructed for the Commonwealth Trans-Antarctic Expedition. It houses more than 500 artefacts, which have now been painstakingly conserved by Antarctic Heritage Trust experts. The aluminum for the new roof was painted by AkzoNobel customer Pacific Coil Coaters in New Zealand and installed by specialist standing seam roofer, Mike Burgess. Money for the million-dollar project was raised in Hillary’s native New Zealand and included a government contribution of $180,000. The explorer is perhaps best known for being the first person to reach the summit of Mount Everest. His hut forms part of Scott Base, New Zealand’s only Antarctic research station. 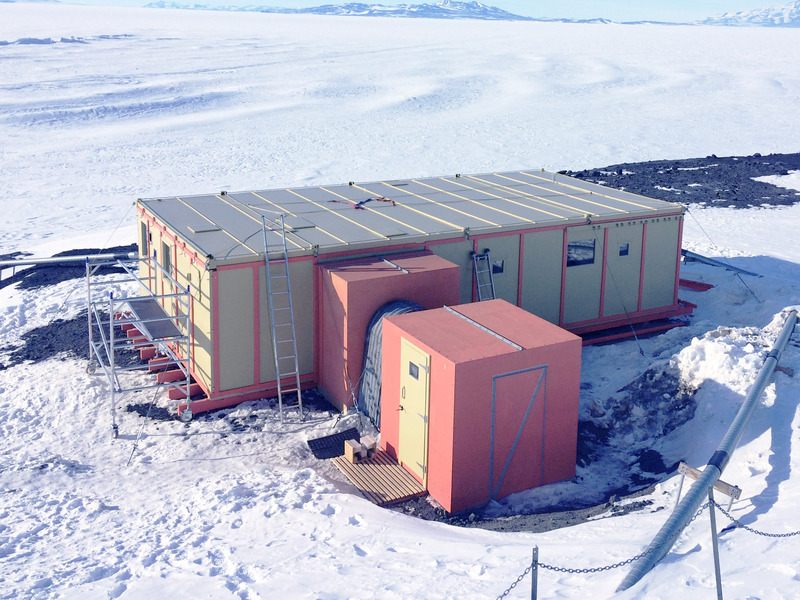 It joins several other buildings on the frozen continent to have been coated by AkzoNobel, including the British Antarctic Survey’s Halley VI research station and explorer Robert Swan’s e-Base at Bellingshausen.